Wet Ones Wipes only $0.22 w/ Coupon! 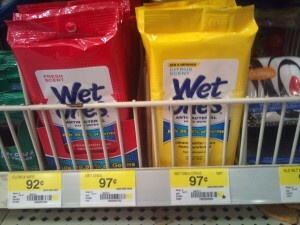 You can get a great deal on Wet Ones Wipes at Walmart. I keep the singles in the car to clean up messes or dirty hands! Thanks for the photo, Thrifty Texan!